Description - The ring measures 17mm long, including the loop, by 12mm wide by 1mm thick and the loop measures 3mm. The bar portion measures 17mm long by 2mm wide by 1mm thick and the loop measures 2mm. 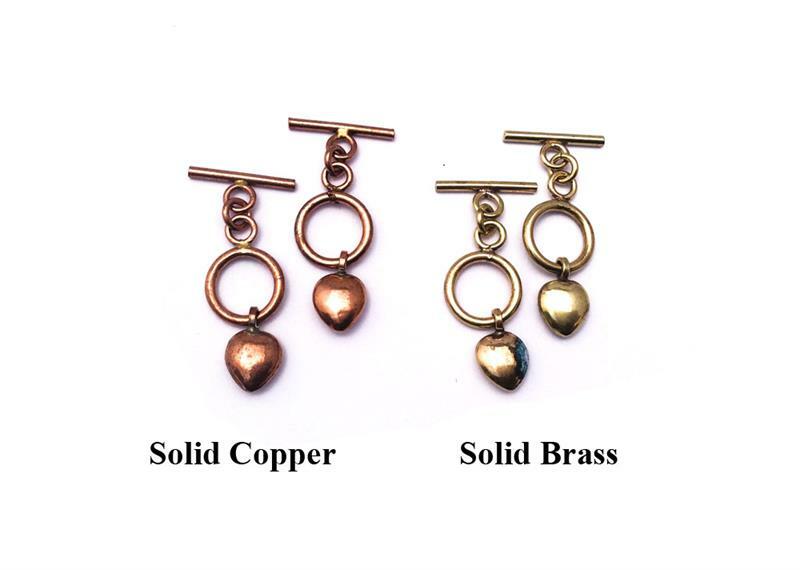 Use these solid copper and solid brass findings in your handmade jewelry designs and craft projects to create a one of a kind look! This listing features 2 metal finishes in these decorative findings. 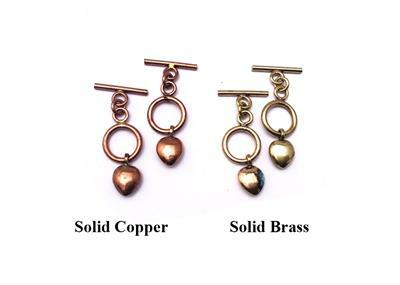 These findings are made of solid copper and solid brass. The ring measures 17mm long, including the loop, by 12mm wide by 1mm thick and the loop measures 3mm. The bar portion measures 17mm long by 2mm wide by 1mm thick and the loop measures 2mm. The heart charm measures 13mm long by 8mm wide by 2mm thick. These findings were made in Indonesia. These findings are NOT bendable.